STUTTGART, Germany — Porsche reportedly is working on another new model, a midengine “supercar” that it intends to slot above the next-generation 911, but below its upcoming 918 Spyder, as a potential successor to the Carrera GT. As yet unnamed, the new midengine Porsche would be priced above $200,000 and aimed squarely at such European exotics as the Ferrari 458 Italia and the McLaren MP4-12C, according to Britain’sAutocar. We’re looking to extend the range. We’ve got an idea to do another mid-engined model. We’re thinking above the 911 but below the 918 Spyder. We have ideas on styling and design, which we will continue to develop in the coming months. We’ll also evaluate the economic side and then decide whether to push ahead. The Ferrari 458 Italia is priced in the U.S. from $225,000; the McLaren MP4-12C will start at around $229,000 when it arrives later this year. The most expensive Porsche offered in the U.S., the 911 Turbo S, has a base sticker of $160,000. The new midengine Porsche conceivably could compete with its sister brand Audi, whose R8 GT is bumping up against the $200,000 mark. In comparison, the Porsche Carrera GT, last sold in the U.S. in 2005, was priced from around $325,000. The midengine two-seater featured a 605-horsepower 5.7-liter V10. 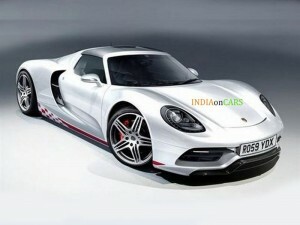 That’s still a far cry from the new 918 Spyder, whose production will be limited to 918 units worldwide. The U.S. price is $845,000. According to Autocar, the new midengine Porsche will be a “regular” rather than limited-edition model, with projected annual sales of 2,500-3,000 cars. A coupe and a roadster are under discussion. Porsche says the 918 Spyder, in addition to a pair of electric motors, features a mid-mounted V8 derived from the RS Spyder racecar’s 3.4-liter unit. 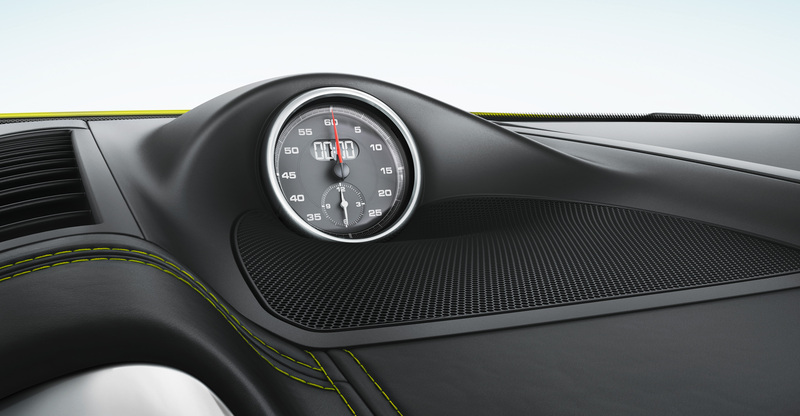 The production engine in the 918 Spyder will displace “more than 4.0 liters and (produce) at least 500 horsepower,” Porsche says, and will drive the rear wheels through a seven-speed PDK dual-clutch gearbox. Depending on how much of its architecture is shared with the 918 Spyder, the new midengine Porsche could use that V8 or share the 560-hp 5.2-liter V10 from the Audi R8 GT. A third choice is the twin-turbocharged 3.6-liter flat-6 that develops 620 hp in the $245,000 911 Carrera GT2 RS. According to Autocar, the new midengine Porsche is not likely to share the next-generation Audi R8’s aluminum space frame architecture. But it could employ another derivative of the Volkswagen Group’s so-called MSS architecture, which is described by Britain’s Car magazine as a “matrix conceived for future high-performance vehicles,” primarily for the Porsche and Audi brands. According to Automotive News, Porsche has been charged within the VW Group with developing a new sports-car components matrix that can be adapted for front-, mid- and rear/midengine cars for Porsche, Audi and Lamborghini.